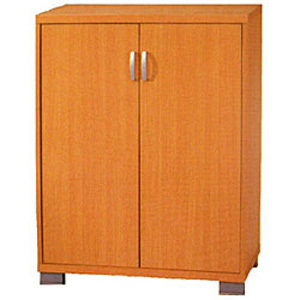 Give yourself stylish concealed storage with an Elsa storage cabinet Furniture gives you hour adjustable shelves for easy organziation Cabinet is the perfect solution for extra storage anywhere in your home Measures 31.5 inches long x 14.5 inches wide x 39.75 inches tall Available in beech, walnut or white oak color options Assembly required Dimensions: See description Materials: Composite wood, mdf. Available in Beech and Walnut Finish. Blackout Curtains completely blocks out light, and lessens outside noise and extreme temperatures for a comfortable environment in any room at any time of the day.